Another day, another poll showing substantial lead for the Leave vote in the upcoming EU Referendum. With each one it becomes more and more likely that we’re looking at the final days of David Cameron as prime minister. Just one year ago he pulled off a stunning electoral victory at the general election, securing a Conservative majority when everyone said Labour was more likely to win. Now, he faces defeat in the most important vote of our time. Even if Remain wins by a small margin, his fellow Conservatives will round on him and force a leadership election. A solid majority of the party, and at least 65 euro-sceptic Tory MPs who signed a letter protesting chancellor George Osborne’s Brexit “punishment budget,” will see a slim Remain victory as an unforgivable, historic lost opportunity: Had Cameron favoured Leave, the vote would have gone the other way. For that, these party members will insist, he must go. Cameron’s government is fragile. He has a working majority of only 12 seats in the House of Commons. A eurosceptic revolt in the Conservative Party will be much bigger than that. Boris Johnson, Theresa Howard, Iain Duncan Smith, Liam Fox and others already look like a Brexit cabinet-in-waiting. Tory rebels are criticising Cameron and Osborne by name, not simply debating them on the principles of Brexit. That signals it’s not just political, it’s personal. 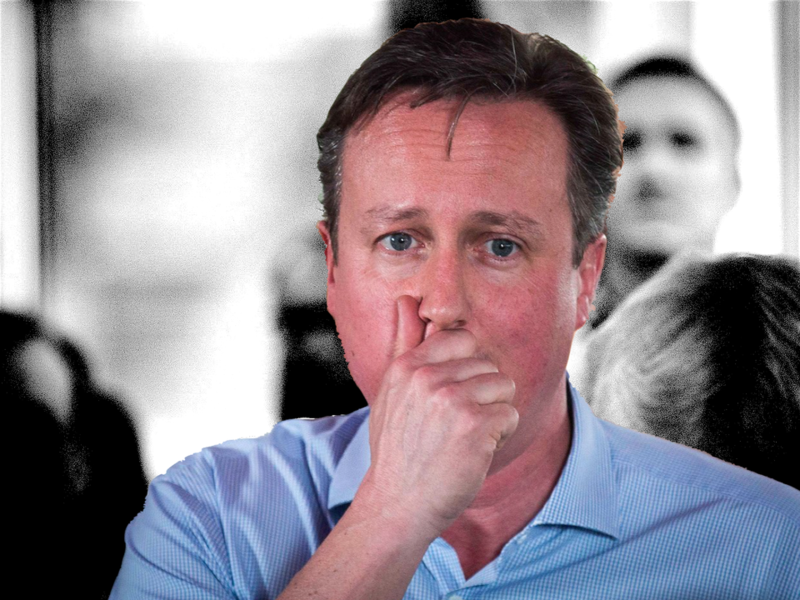 Conservative party donors are already withdrawing their money from Cameron. Edi Truell, who has donated £270,000 to the Tories in the last six years, has said he will renew his donations once Cameron is gone. Thus a Brexit loss would leave Cameron facing political bankruptcy and a leaking financial ship. At that point, anything could happen. With a new Conservative prime minister in place, it would be very difficult for the new Tory leader to claim they had a mandate from the people. The new leader would be vulnerable to the slightest Tory revolt. A new general election could be called.